Ginger is a new client of mine. She uses the IronWear Weighted Vest. Ginger recently visited my clinic and asked that I review her exercise program. While reviewing her exercise routine, Ginger showed me the vest. She has a small build and is concerned about her bone health and, specifically, the bone density in her spine. 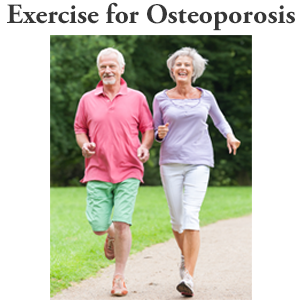 Like many of my clients, Ginger wants to follow a safe and effective exercise for osteoporosis and limit her usage of osteoporosis medications. Ginger is very satisfied with the product and I asked her if she could share her thoughts on the vest with you. I have published reviews of weighted vests in the past and they have been very popular with my readers. I thought that this would be a good addition to that set of posts. The weights can be inserted in small pockets located all over the vest allowing you to gradually build up the overall weight of the vest. The pockets are evenly distributed around the vest from the shoulders to the waist. The weights are soft and flexible making the vest comfortable to wear. The vest fits high on the sides making movement very comfortable. Velcro tabs are located on the front of the vest making fitting and adjustments easy. The vest is slim and easily fits underneath a jacket or other cover. Overall, Ginger is satisfied with her vest and recommends it. My only reservation was that I found that the wide velcro-fitting on the vest restricted my breathing. If I loosened the velcro, then I found that the vest move around as I became more active. The IronWear Weighted Vest is available on Amazon. 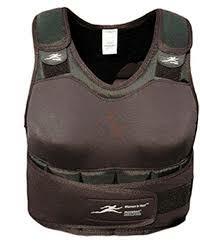 Hi, I’m Ginger, and I’d like to share with you why I like my IronWear weighted vest for women. 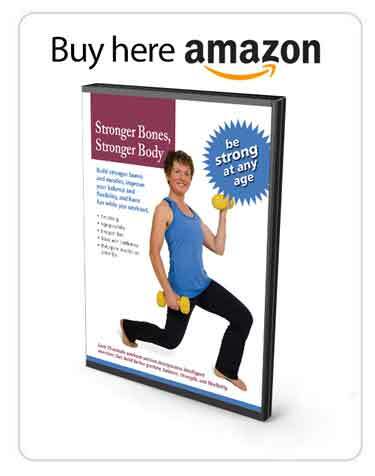 As a smaller woman, I’m five foot two, I’m concerned about bone density, and I’m especially concerned about my spine. So, one of the things I like about this vest compared to some of the other vests that have weights mostly around the hips, which are good for the hips, this vest has the weights starting up here and going all the way down the spine. So it gives my spine a good load. The vest weights are kind of flexible. The whole vest is very comfortable that way. The other thing I like about it is that it’s a little high on the sides so that it facilitates movement. The front velcro, here, can be adjusted. That’s how you put it on. It’s the left, then the right. It’s fine over clothes. It’s fine under jackets and things of that nature as well. One thing I would share with you, I like to hike. I wear backpacks all the time. I’m used to carrying a lot of weight on my back. So, when I got the directions for this vest and it said start with just wearing the vest, wear that for a while. Then start adding one pound at a time, then two, then three. I thought, oh that’s ridiculous. I’m just going to go ahead and add in a whole bunch of weights. Because I knew that I could carry quite a bit in my backpack. I did, and I discovered that the vest is probably using a little bit different muscles than I use with my backpack and I ended up with a pulled muscle. I decided that they were right, that you should really start with just the vest and then add the weights. So, if you’re looking for a vest I would give a strong recommendation to the IronWear woman’s vest. 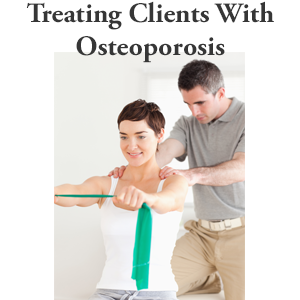 I am 62, recently diagnosed with osteoporosis -2.8 in the LUMBAR SPINE. I use an elliptical trainer with resistance set on 10 and with arm handles every day for 30 minutes, followed by 30 minutes of Pilates with a resistance circle, and am just now adding free weights (a series of 4 exercises I found here online) and jumping rope, as well as “faux jumps” and a little jogging now and then added into my power walk, which I also do daily for an hour, wearing a weight vest. 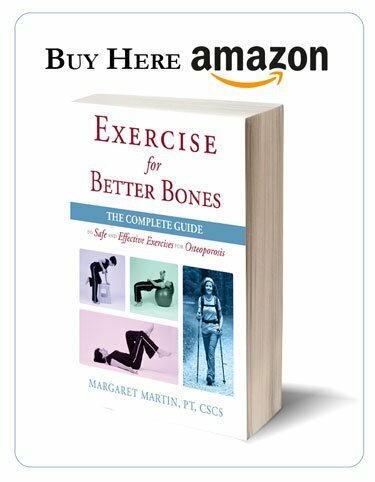 My question: Will adding Nordic walking poles to my power walk help build bone in my lumbar spine? I am looking for safe ways to build bone in that LUMBAR SPINE area since my hips and wrists were fine on the DEXA scan. Any suggestions other than the daily jumps and adding a little jogging into the power walk? Nordic poles?